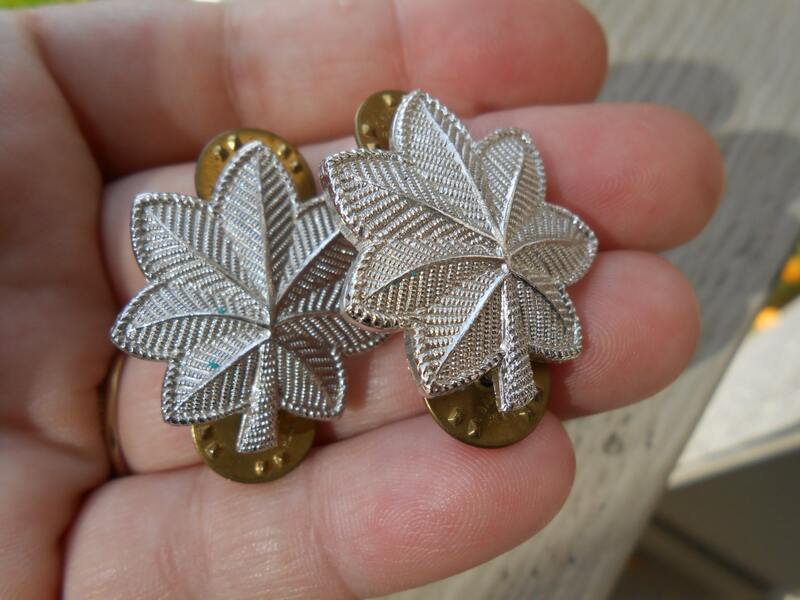 This listing is for a set of two pins, shaped like leaves. 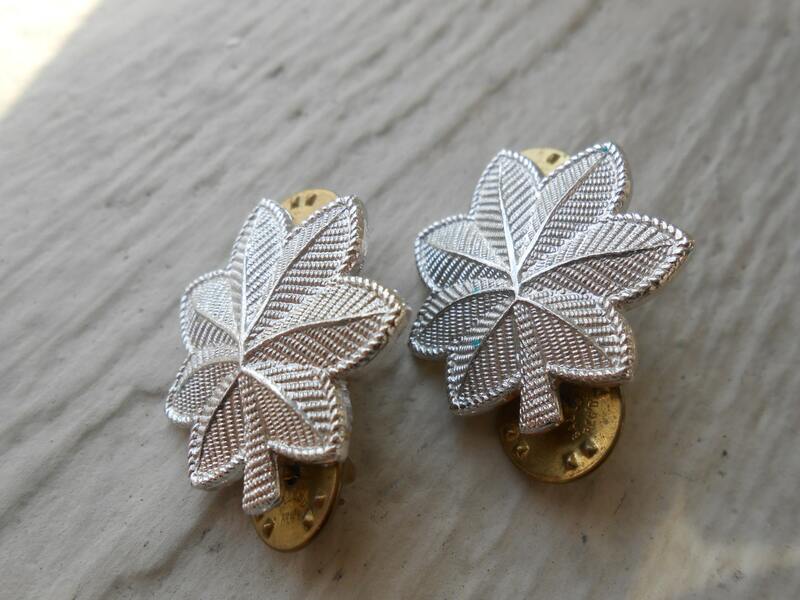 They are a silver tone and have detail on the front. 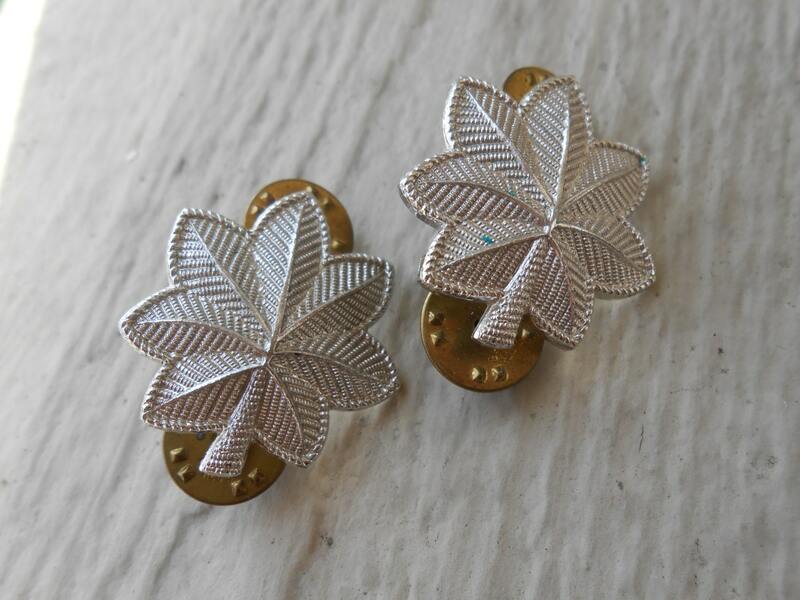 The backs have two pins on each leaf. 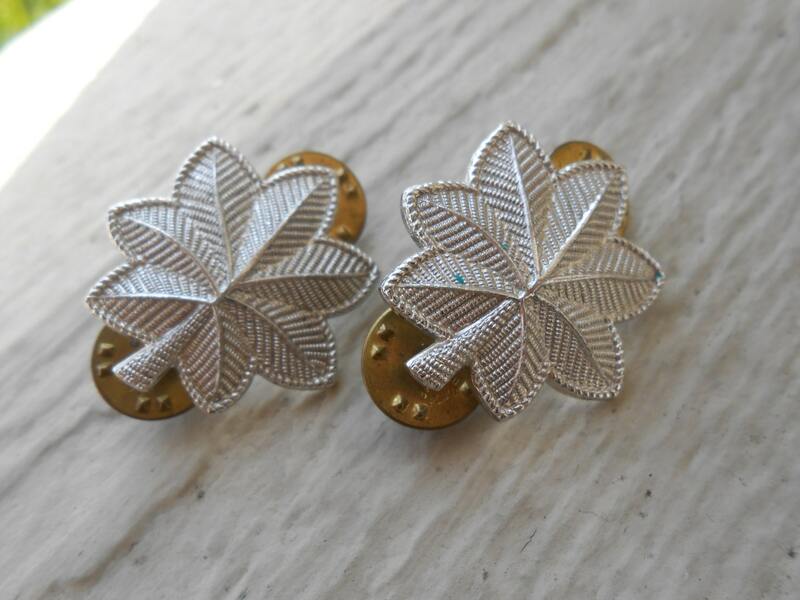 They look like the pins given to Marine Majors. They measure 1 1/8" x 1". 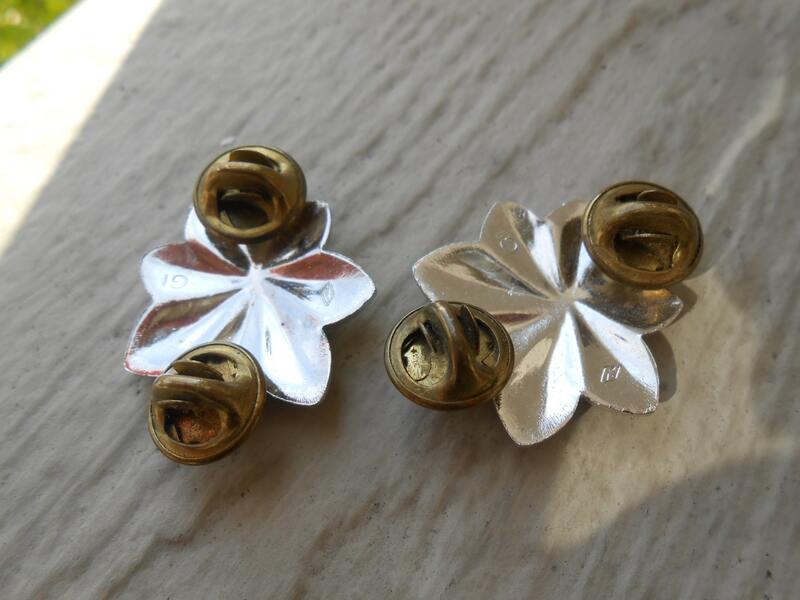 They are in good condition. One pin has a little blue spot on it, but no damage.